Bill Ballou, who writes for the Worcester (MA) Telegram & Gazette, initially argued that closers shouldn't be considered for the Hall of Fame, but said he wouldn't submit a ballot to avoid ruining Rivera's unanimous chances. After blowback, Ballou changed course to vote for Rivera and four others. 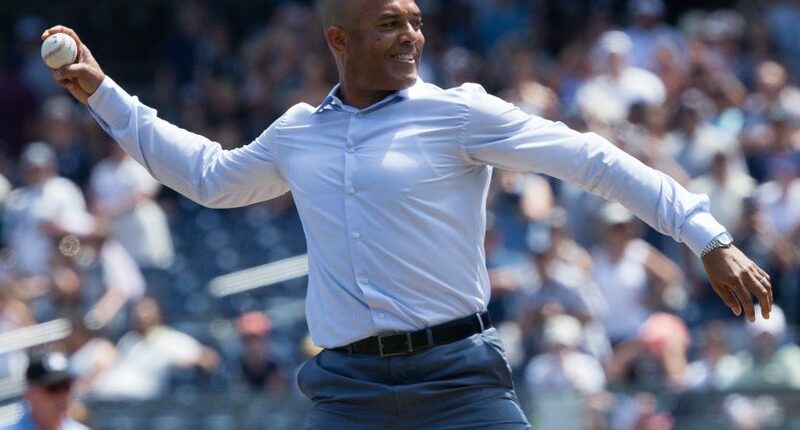 Tonight Mariano Rivera became the first unanimous Hall of Fame inductee, ending a particularly frustrating, seemingly self-perpetuating media narrative. For decades, baseball writers would seemingly go out of their way to avoid inducting a player unanimously, no matter how obviously worthy their credentials. Why? Well, there was no good reason, but year after year, at least a few idiots wouldn’t vote for Hank Aaron, or Willie Mays, or Greg Maddux. And so it went on, most recently tested when Ken Griffey Jr. was elected with 99.3% of the vote, a new record but still shy of unanimous. That’s what was so frustrating when one voter came out in December and said he wouldn’t be voting for Rivera. If you guessed he writes for a paper in the greater Boston area, you’d be correct, because it was Bill Ballou of the Worcester (MA) Telegram & Gazette. Here’s his original column, which outlined his reasoning by citing, among other things, an AHL goalie’s performance from one game in 2008. And Dakers’ shutout? Just about any living major league pitcher can record a save, that’s how easy they are to come by. Rivera could be the first Hall of Famer elected unanimously. I think I’m right about closers, but not so much that I would deny Rivera a chance to be the first unanimous Hall of Famer. Thus, I’m not voting this year. A submitted blank ballot is “no” vote for every candidate, so I’m doing a Switzerland and not sending one at all. It’s quite something to be one of the people entrusted with a Hall of Fame ballot and then to not only come out with a bad opinion but then say rather than actually express it, you’re just not going to vote. That stance was proven so unpopular even his own (presumably Red Sox-fan) readers pushed back, and Ballou ended up deciding that he would vote for Rivera after all. The weird ways in which Ballou contorts himself here are fascinating. Voting for Bonds and Clemens is somewhat progressive, so that’s good! Then he mentions that he’ll be voting for David Ortiz a few paragraphs before he diminishes the DH as a whole, and obviously he didn’t vote for Edgar Martinez, who fortunately made it in anyway. The whole thing is a perfect illustration of perhaps the most important lesson to learn: the Hall of Fame voting pool, as with any group of a few hundred people (and especially an group of a few hundred sportswriters), is always going to come up with some weird results. That anyone finally got in unanimously is a miracle. Hopefully that narrative is now gone forever, and we’ll see writers focus more on who should get in instead of made-up parliamentary intrigue. But given how strange this voting often gets, that’s not guaranteed.